Della had the good fortune of a life that many would have wanted to live. She grew up in a loving environment. She went to college. She started a family. She became a doctor and worked in emergency. She wasn’t looking for anything. She didn’t have any spiritual beliefs. She was happy. Then, in 2005, during a hypnosis session, she had what could be described as a near-death experience. Her heart was deeply touched by oneness and its unconditional love. Her life was turned upside down by this experience. With this free and loving presence breathing inside of her, all of ” her ” identity was put into question. Gradually she had to surrender to the reality that we are One and that no label, belief or knowledge is needed for Being. Richard describes one of the key ways in which we avoid being present to ourselves and others. With the essential insight shared in this short video, you can change how your relate to everyone in your life. Based on his own experiences, Martyn tells it as it is. With no special qualifications or education, Martyn’s natural instinct for seeking answers led him down a path to an old discovery. The discovery that we all at some point question and seek. A discovery that we all put just out of reach. A discovery that seems to be impossible to attain. Or is it? This book is a guide, a perspective, his truth, his story. An ordinary guy with a normal life. Family, work and all the usual stresses, until he started to wake up and viewed life from a whole new level. Sharing his story from the everyday existence of 21st century living into 21st century being. In reading this book, Martyn wants you to realise your own truth and to wake up from the mass illusion of this reality. 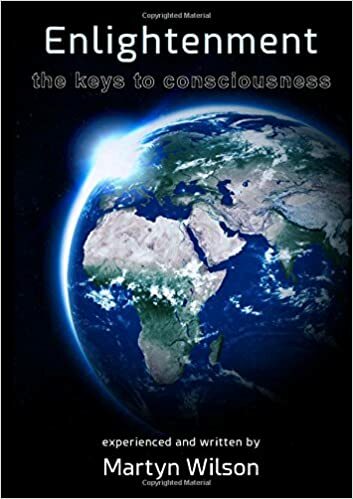 Enlightenment – the keys to consciousness” not only describes how Martyn experienced his awakening, but also gives you tools to enable you to grasp yours too, simple exercises for everyday use. A Life Coach, NLP Practitioner and Reiki Master, specialising mainly in stress management, performance management and weight loss. I am also an author of “Enlightenment: the keys to consciousness” and ‘How To Have It All; Playing The Game Of Life’. For many years I have studied human behaviour to discover how to get through life as comfortably and as stress free as possible. I believe that the only way to truly understand how to help others is to have experienced similar challenges yourself. Having been at the lowest ebb of poverty and distress, in serious debt and morbidly obese, I believe I am now qualified to help others. Author of ‘Enlightenment – The Keys To Consciousness.’ Martyn only talks from his own experience. He was an ordinary guy with a normal life; family, work and all the usual stresses. He met Maria who was interested in spiritual enlightenment and at first he was very sceptical of her interest. He set out to disprove that such a thing existed and worked hard to find faults in her arguments. But then ‘the impossible happened’ and he actually started to wake up himself. He found a method that stilled his mind, and his thoughts would stop for few seconds. He persevered and in time those few seconds became a few minutes. He then found he could stop all uncontrolled thoughts and was in control of his mind. What had been his master became his servant. He talks us through his story and shares the method that he found worked for him as a meditation. Unwitting Mystic: Evolution of The Message of Love is a rare journey from Washington, DC to India and into otherworldly realms in the company of God, Jesus, Buddha and a woman with no previous interest in, or understanding of, spiritual teachings. Through intimate details of profound metaphysical events and a miraculous recovery following a serious suicide attempt, this transcendent story goes beyond conflict-driven human experience to show that the willingness to resurrect one’s own divinity is resurrecting a new love-driven consciousness for all of humanity. Mary Reed tells the story behind her book Unwitting Mystic: Evolution of The Message of Love. Video courtesy of Bob Bellairs. 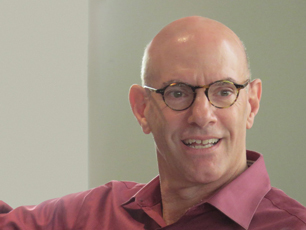 DAVID RICHO, PhD, is a psychotherapist, teacher, and author who leads popular workshops around the US at venues such as the Esalen Institute, New York Open Center, and Spirit Rock Meditation Center. SAND invites you towards exploring a new paradigm in spirituality, one that is not dictated by religious dogma, but rather is based on all the timeless wisdom traditions of the world, informed by cutting-edge science, and grounded in direct experience embracing every aspect of life. Video Produced in collaboration with http://www.thehivestudios.org. All experience is a colouring of the mind; the now is the access that the finite mind has to eternity. The Yoga of Love is an important text that addresses the many erroneous notions of devotion and liberation floating around in the spiritual world need to be properly contextualized to help devotees, East and West, achieve non-dual love. It is also important because seekers need to know the benefit of self-inquiry: how Vedanta will transform them and their lives. This text provides an an excellent picture of a self-actualized person, someone who enjoys complete freedom and non-dual love. Finally, these days we see many self-proclaimed “enlightened” people professing to be free. Generally, this freedom is left undefined or amounts to freedom from social constraints and/or one’s conditioning, which, depending on how you look at it, is not necessarily the kiss of death. However, I am not aware of any modern teaching that conflates liberation with non-dual (unconditional) love, which might fairly be said to be the next step after enlightenment. If Vedanta’s definition of liberation (moksa) were adhered to, the number of “enlightened beings” would shrink to imperceptibility and the many abuses visited on seek- ers by modern teachers would virtually disappear. In any case, these sutras are the last word on freedom and non-dual love. This short video is part of the video set “The Yoga of Love ~ Narada Bhakti Sutras” which is now available in the shop on the shiningworld website. There is a profound shift in consciousness occurring. This shift is part of the intentional evolution of human consciousness by members of the human race far and wide across this planet we call Earth. By being mindful of our thoughts, we are able to shape our reality in a number of different ways. The Buddha said that “we are what we think. All that we are arises with our thoughts. With our thoughts, we make the world.” Such statements reflect the reality of focused and intentional thoughts shaping the reality in which we find ourselves in on a daily basis. They display the power of our consciousness in the assisting in the overall evolution of the transpersonal consciousness of humanity. When the Buddha also stated that everything that we are is the result of the thought-forms we have created and projected, one thing he showed us was that we have the ability to continue our evolution, both personal and transpersonal, until we become fully enlightened and Self-realized. By being mindful of what thought-forms we create, we are able to become an integral part of the evolution of the interconnected transpersonal consciousness of humanity. Every manifestation of the Infinite Sea that comprises the totality of reality goes through its evolutionary process. In the domain of human consciousness, there is an evolution that can be seen as well. One must only compare the human being from 10,000 years ago (from limited archeological records) with the human being today and see that the higher levels of consciousness, which became accessible after basic physiological and psychological needs were satisfied, were being experienced more and more as the human race moved into the future. Higher states of consciousness that had interconnectedness and oneness as their base are being experienced by more people, more frequently, and more intensely than in times past. With the consciousness revolution of the 1960s being a sort of quantum leap in this evolution of human consciousness, we have been able to make incredible strides towards the fulfilling of a supramental transformation of humanity. By experiencing more of the higher states of consciousness with more frequency and with more profoundness, we are able to make personal progress in our shifting of consciousness, which in turn helps in the shifting of the global consciousness. This shift is part of the evolutionary process of consciousness transformation. The heart feelings of happiness, empathy, and compassion are enhanced in many ways. One of these is through practices such as meditation that connect us to something greater than ourselves. Another is the heart connection with others, close friendships within and outside the family. Yet another is the gathering with others with relative frequency for uplifting purposes such as social causes. Living a heart-centered life helps with the shift in consciousness necessary for the conscious and intentional evolution of human consciousness, as a whole. As the shift continues and people experience greater stress, over-stimulation, overload, stress-induced physical and mental health problems, the importance of a shift toward heart-based living increases. One could say that given the brilliance of Reality, the framework mechanisms for the evolution of the various manifestations of Consciousness created themselves in such a way that the aspects of reality known as interconnectedness and oneness were stressed as being of the utmost importance, for the good of the Supermind as a whole. With high importance placed on these elements of Reality, it was as if a direction was installed into the evolutionary processes towards expressions of consciousness that underlined and stressed the importance of them. This direction is the heart-centered approach to life. The heart-based way of living takes into account that all is One and that subsequently we are One. This interconnected aspect of consciousness increases the feelings of empathy, compassion, and love among humans part of this consciousness matrix. It was mentioned earlier that it seems as if the process of evolution itself, initiated and formulated by whatever mechanisms of Reality began it all, are focused and directed towards strengthening and intensifying the aspects of reality we have come to know as interconnectedness and oneness. Evidence of this can be seen in many places. One such place is in the sphere of incoherence and coherence. Incoherence, such as when a person feels stress, overwhelm, anxiety, uncertainty and fear, generates chaotic and incoherent signals in the heart that go to the brain/mind and trigger stressful responses. The heart and brain fall out of alignment and as a result the solutions to personal or world problems are not readily found. In the dense dimensions, these negative emotions are registered in the heart and brain’s electromagnetic fields and generate a global stress and incoherence wave that radiates outward into those around us and to those all over the world. Stress and incoherence are intensified by catalysts such as instant mass media reports of negative situations such as natural disasters, social upheaval, economic turmoil, etc. Incoherence brings about negative results and because of this, demonstrates that the opposite, that being coherence, is what the process of consciousness evolution prefers, and indeed this is seen to be so. When a person feels genuine hope, care and compassion, his or her heart sends out harmonious and coherent signals to the brain/mind, replacing feelings of separateness and solitude with a sense of connectedness and oneness. The heart and brain are aligned and in sync. There is harmony. The higher cortical functions are enhanced, facilitating objective, sober assessment and intuitive perception. A person is able to perceive more wholeness, and solutions to problems become more apparent. On a collective level, positive emotions such as hope, will, care, compassion and appreciation generate a global coherence wave whose electromagnetic field goes out into those around us and all over the world. The intentional increasing of the heart-mind alignment and the focusing on a heart-centered way of life have the potential to create a global coherence wave to facilitate new solutions for the problems and issues that the world as a whole faces today. There is an evolution of the global consciousness of humanity occurring as this is being written. Those things that bring us closer to realizing the intrinsically deep connection between all manifestations of Consciousness within reality are consequently the same things that nudge us forward, as a collective consciousness, towards a supramental transformation unlike any ever seen in human history. A heart-based life with the projection and expression of positive emotions such as compassion, love, and empathy is a way of life that not only brings about more coherence within one’s life, but also one that brings humanity as a whole that farther down the road of a positively progressive evolution of consciousness. With the conscious and intentional evolution of human consciousness that comes about with a shift towards such a way of life, everybody wins. All benefit. We are in this together and whatever one of us does, affects the other. It is in each one of our own best interests that everyone else makes the shift to such an approach to life. Do we wish to see a bright future or a kind of dystopia? The choice is ours. Live a heart-based life and see the vectors of human becoming flower into spectacular wonders. Paul is the founder & director of SHIFT, a conscious evolution guide, author of The Creation of a Consciousness Shift, intentional evolutionary & celebrator of life working to provide an integral role in the positive social transformation of humanity. Part I puts forward the controversial notion that many religious myths are actually true; and not just allegorically so. Part II argues that our own inner storytelling plays a surprising role in creating the seeming concreteness of things and the tangibility of history. Part III suggests, in the form of a myth, how deeply ingrained belief systems create the world we live in. The three themes, myth, truth and belief, flow into and interpenetrate each other throughout the book. Bernardo Kastrup has a Ph.D. in computer engineering with specializations in artificial intelligence and reconfigurable computing. He has worked as a scientist in some of the world’s foremost research laboratories, including the European Organization for Nuclear Research (CERN) and the Philips Research Laboratories (where the “Casimir Effect” of Quantum Field Theory was discovered). Bernardo has authored many scientific papers and philosophy books. His three most recent books are: More Than Allegory, Brief Peeks Beyond and Why Materialism Is Baloney. He has also been an entrepreneur and founder of a successful high-tech start-up. Next to a managerial position in the high-tech industry, Bernardo maintains a philosophy blog, a video interview series, and continues to develop his ideas about the nature of reality. He has lived and worked in four different countries across continents, currently residing in the Netherlands. 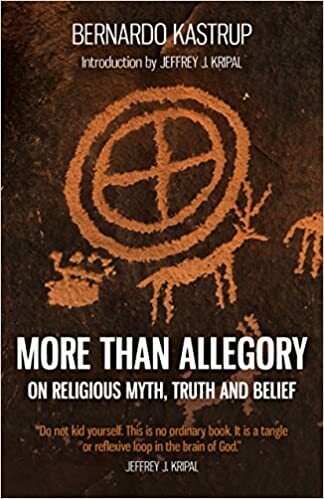 This video introduces and discusses my new book ‘More Than Allegory: On religious myth, truth and belief.‘ It argues that religious mythology is an extraordinary psychosocial phenomenon that cannot be simply dismissed under the label of delusion. Its appeal throughout the ages arises from the fact that religious myths do convey truth, but truth that is neither literal nor merely allegorical. Religious myths embody, instead, a transcendent form of truth that cannot be captured in conceptual schemas or language narratives. The video also discusses the three key roles religious myths can, and must, play in contemporary society. Finally, it touches on the delicate challenge — addressed head-on in the book — of hinting at a worldview according to which time and space are constructs generated by the intellect, having no autonomous reality of their own. This is a challenge I have carefully avoided in my earlier five books, but whose time has now come. “I’ve never experienced anything like this before.” Wayne Dyer. This inspiring and funny talk is an excerpt from Wayne Dyers program “Inspiration: Your Ultimate Calling” (PBS, 2005). Question: Is it possible to have a friendship with the ego? Or a friendship between the false “I” and the real “I”? ET: The ego, in the way I use the term, isn’t really the ego if you recognize it. In other words, if the ego is operating in you, you won’t even know it. Then it really is the ego. So, ego implies that you are not aware of it. 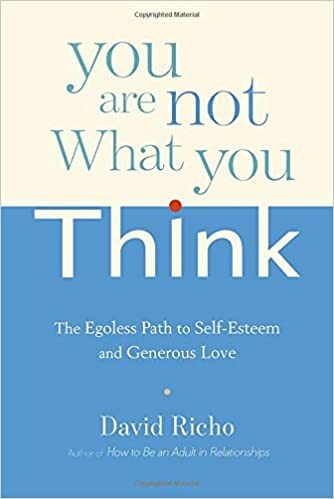 Those people who have the biggest egos don’t even know what ego is and are not interested in learning about ego, and certainly wouldn’t think of themselves as having a big ego. They simply cannot recognize the ego as the ego. But the moment you recognize the ego, it’s not really the ego anymore. It can be an old behavior pattern or a thought pattern that can still operate. For example, you may find yourself name-dropping. You know somebody famous and so you say to the person next to you, “Okay, I’ll have to call the Dalai Lama in a minute. He is expecting my call.” And, at that moment, you may realize that’s actually a lie. At that moment, of course, you’ve recognized the ego as wanting to be somebody and to be recognized. And at that moment, you have become present, so it’s not the ego anymore. The next time, you can actually observe the urge to say it again, or something similar. For example, if your friend says, “Who do you have on your speed dial? I have Oprah on my speed dial.” Now you can pause and you may feel the urge to compete and come up with some other famous name and at that moment, recognize the urge and let go of it. The moment you recognize an egoic urge or pattern, some element of freedom has come in. The pattern may still operate, but you are no longer completely possessed by it. There’s isn’t complete identification with the pattern anymore. And while I wouldn’t say you can make those patterns into your friend, you can be compassionate with yourself when they still operate. Because they have a momentum behind them, but they are not the ego in the strictest sense of the term, since ego implies complete unconsciousness. So, the ego in its strictest sense cannot be your friend, nor should it be treated as your enemy. Because if you treat the ego as an enemy, you give it even more power. So ego, is neither your friend nor your enemy. It just is something that has taken you over and makes you unconscious. One common mistake is to make the ego into an enemy, because the ego comes through the back door when you do that. Another mistake is believing that you can win the battle against the ego; you can’t. As soon as you battle, you’re part of the ego. So, rather than using the terms “friendly with,” we’re really talking about compassion—compassion for patterns that still occasionally operate in you that you recognize as coming from unconsciousness—but at the same time appearing in the light of presence, which is why you can recognize them. Instead of beating yourself up for that, which would mean becoming unconscious again, you simply are compassionate and say, “Oh, there it is again. I’m doing it again. Isn’t that funny.” Laughing, by the way, is also a good way of becoming free. When you can laugh at your own patterns and egoic urges, you may be able to catch them after a while when they want to manifest. For example, you find yourself wanting to say something. You need to express your opinion here because ‘these people are completely wrong’, but it’s also a situation where whatever you say will make no difference to the situation at all. It’s just an opinion. So you can observe the urge of wanting to assert your mental position. And then, there’s the possibility that you can actually be present enough to say to yourself, “Do I have to voice it or can I just drop it? Can I let go of that urge? Let’s see what happens if I do…” Don’t try to suppress it and say to yourself, “Go away!” Not like that. Recognize it and then say, “Okay, I’m going to drop that. I don’t need to say that now to assert my knowledge,” or whatever it is. There’s no decision-making involved right here. Just drop it and see how that feels inside. When you drop an egoic pattern that you’ve recognized, a strange thing happens. First of all, you may feel diminished, because you have failed to assert yourself from the egoic point of view in that situation. So, at first you feel smaller somehow, diminished—but that’s only the first thing. As you stay with that, you actually feel a deepening. Because the ego always wants to be the mountain. It wants you to stand out, assert, be someone, if only by voicing your opinion. So at first it seems a little disconcerting when you let go of an egoic need. Then suddenly you feel you’re actually getting in touch with your own true power—and you no longer feel the need to do or say anything to assert yourself. That’s true peace, true aliveness, and it’s wonderful when you sense that. But in the meantime, have compassion with the old patterns that still operate in you; that’s really what is needed. Don’t condemn yourself. You’re doing fine! Anne Geraghty was a clinical psychologist and psychotherapist when her son, Tim Guest, author of My Life in Orange died suddenly. Her old life ended. She went on a search for her lost son. * Where was he? What was he? * Did he live on in some other realm? * Or had he fallen into the darkness of oblivion? Her search for Tim became an exploration into the nature of death itself. We die as we have lived. Our lives are not like those of a C12th Tibetan, a C15th Cardinal or a Zen monk; we cannot, therefore, simply turn to old maps and myths of what happens when we die. We need a new narrative of death that embraces our modern understandings of our humanity and the workings of the universe. This book is the story of a grieving mother looking for her dead son, an investigation into death in our modern world, and an exploration of our struggles to live well in the ever-present shadow of death. It is not a book with answers; it is an invitation to look at death differently. 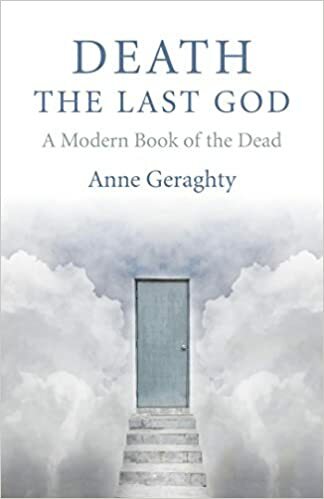 This book offers fresh and original ideas about death and dying. And it will radically change your understanding of what death is. Anne worked as a Clinical Psychologist and worked with RD Laing. She went to the first Women’s Liberation conference in Oxford in 1970 and wrote for the original Spare Rib. Many adventures later she began to look beyond the personal and the political for more spiritual understanding and travelled to India. There she met Osho and became his disciple. She ran workshops and courses all over the world on love, relationships and family dynamics and was director of Medina Rajneesh Healing Centre. She then set up and was director of the Amap Centre in London where, with a team of therapists, she ran Diploma Courses in Counselling, Group Dynamics and Psychodrama. She has written several books on love and the psycho-spiritual journey. All seemed fine and then her son, Tim Guest died suddenly in 2009. He was the author of several best sellers including a memoir of his childhood – My Life In Orange. Her old life died. She now lives with her husband and spiritual comrade of 35 years on a market garden with their bees, hens and dogs and runs courses on love and death. that began in 1987 when he was diagnosed with cancer. The revelations during that time would inform every dimension of his work to follow. How do we move through an overwhelming crisis—whether from physical illness, grief, or a major life change—into the rest of our lives? decades since. Throughout, Mark includes compelling questions and exercises from his popular workshops, to invite us to personalize the experience. “To live in wonder on the other side of suffering and disappointment,” reflects Mark Nepo, “is to know how magnificent and fragile it is to be here at all.” Inside the Miracle calls us to leap into our lives with tenderness and courage, so we can fully inhabit the miraculous moments that await us. Mark Nepo is a poet and philosopher who has taught in the fields of poetry and spirituality for over 35 years. A New York Times #1 bestselling author, he has published 13 books and recorded eight audio projects. Mark has been interviewed twice by Oprah Winfrey as part of her Soul Series radio show, and was interviewed by Robin Roberts on Good Morning America. As a cancer survivor, Mark devotes his writing and teaching to the journey of inner transformation and the life of relationship. Mark’s work is widely accessible and used in spiritual retreats, healing and medical communities, and more. His work has been translated into 20 languages, and he continues to offer readings, lectures, and retreats. Mark Nepo is a poet and philosopher who has taught in the fields of poetry and spirituality for over 30 years. Nepo is best known for his New York Times #1 bestseller The Book of Awakening. He has published 16 books and recorded six audio projects. As a cancer survivor, Nepo writes and teaches about the journey of inner transformation and the life of relationship. Nepo has a doctorate in English. He taught for 18 years at the State University of New York. In his 30s he was diagnosed with a rare form of lymphoma, a struggle which helped to form his philosophy of experiencing life fully while staying in relationship to an unknowable future. In 2010 Oprah Winfrey chose Nepo’s Book of Awakening as one of her Ultimate Favorite Things for her farewell season, launching it to the #1 spot on the New York Times bestseller list. Nepo has appeared several times with Oprah Winfrey on her Super Soul Sunday program on OWN TV. He was also interviewed by Robin Roberts on Good Morning America. Oprah has also written about Nepo twice in her O! magazine column, “What I Know for Sure” (most recently in April 2011). The heart of the cancer journey and its aftermath has greatly informed his work. 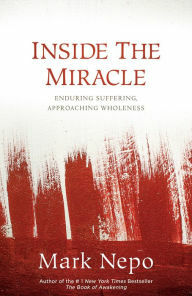 In 1994, Mark published and recorded a landmark book, Inside the Miracle, about the nature of suffering and resilience, which Publishers Weekly called one of the best audiotapes of the year. The book had a greater reach than anyone imagined. Sounds True is now publishing a new, expanded edition of Inside the Miracle, which gathers twenty-eight years of Mark’s writing and teaching about suffering, healing, and wholeness, including: the original poems and prose from Inside the Miracle. “One of the great transforming passages in my life was having cancer in my mid-thirties. This experience unraveled the way I see the world and made me a student of all spiritual paths. It’s my hope that the trail of this lifetime conversation with suffering and care will open you to the fullness of your own humanity. “-Mark Nepo. We were saddened to learn that beloved author Harper Lee has died at the age of 89. Her book To Kill a Mockingbird left an indelible impression on millions of readers, including Oprah, who once described it as her favorite novel of all time. In the clip above, Oprah shares a memory of her private lunch with the famously reclusive writer. 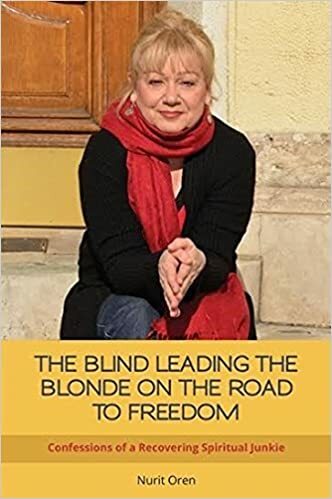 This book is the story of my 40 years of intense spiritual seeking in several countries and with many teachers – the mistakes, the pitfalls and the elusive bliss along the way and, finally, spiritual finding when the truth is revealed! I hold nothing back. My entire life is packed into these pages. Nurit Oren, CPCC, is a Canadian certified professional Co-Active coach, a certified Witz Management/Leadership trainer and certified Art of Transformation guide. She is also a published author and an award winning playwright. Over the past 20 years Nurit has helped countess individuals from all walks of life making life changing decisions from the heart by creating a safe space for inner wisdom and courage to guide them in the right direction and free them from being stuck in unwanted situations. Having dedicated most of her life to the study of Yoga, meditation, spirituality and metaphysics, Nurit excels as a communication, behavior and spiritual consultant. Her background also includes public speaking, coaching speakers, and conducting self-development courses and seminars throughout the USA, Canada, the UK and Hungary. Found books by Muktananda and went to live in his ashram in India where she was a dedicated disciple. There she got up at 3am every day – then meditation then chanting then work no breakfast, then chanting then lunch then work then more chanting then work, then dinner. There was no socialising at all. She had a kundalini awakening then decided to stay indefinitely.But Muktananda died. Moved to Toronto, found a teacher called Dr Mills and stayed with him for 15 years. She had then been on a spiritual path for 40 years and still didn’t feel free.